A & B Autobody has been serving the Regina area since 1964. 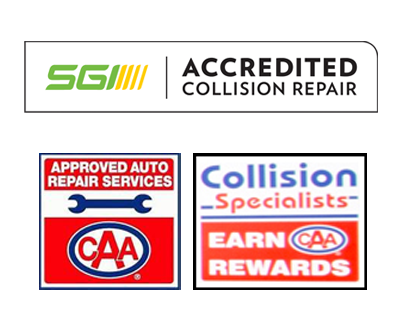 Our staff provides full collision repairs on all new, leased and used domestic and foreign models. All of our work is guaranteed and we stand behind our motto of “The Right Way or No Way”. We also provide free estimates. You can call, email or stop in to schedule an appointment. Contact us or stop in to get your vehicle looking like new again.